Augustine of Hippo (354-430) envisioned a form of religious community life in which the members would “live in harmony, being united in mind and heart on the way God.” He wrote, or inspired the writing of, a Rule outlining the basic principles of this sort of life. Today Augustinians and many other religious orders and congregations still use this Rule as their guide. A Bishop in Hippo (near modern-day Annaba, Algeria), Augustine was an influential leader in the African Church. As Christians were growing in their knowledge of God and Christ, Augustine helped to shape Christian theological teachings, particularly those about the role of Divine Grace and the nature of the Holy Trinity. In the process, he combatted many theological errors. The son of Monica, a holy Christian, and Patricius, a pagan, Augustine was born in 354 in Tagaste (now known as Souk Ahras, Algeria). He was educated in the best secular schools of his day. As a young man, he led a distinctly non-Christian and immoral life. He lived with a young woman without the benefit of marriage. Together they had a son, Adeodatus. Augustine became a teacher. He first taught Grammar in Tagaste. He then taught Rhetoric in Carthage, and later in Rome and Milan. 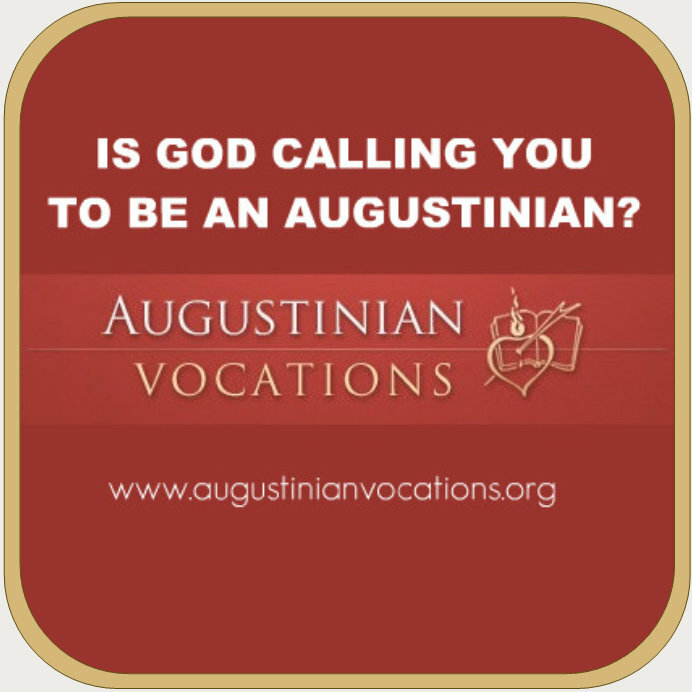 The young Augustine was continually searching with a restless heart for meaning in life. Each time that he would be attracted to a particular philosophy or group, he would become disillusioned the more familiar he became with its thought. Shortly after his baptism as a Christian in 387, Augustine returned to Tagaste. There he gathered several of his friends together to share a common life of mutual support on their spiritual journey. At the insistence of the Christians of Hippo, Augustine was ordained a Priest in 391, and Bishop of Hippo in 395. Unwilling to give up his community life, he called the clergy of Hippo to form a community with him. As Bishop, Augustine ministered to the spiritual and material needs of his people. He wrote extensively. We have today a vast collection of his writing--113 books, 207 letters and more than 500 sermons. His most famous works are The Confessions, City of God and The Trinity. He contributed magnificently to the development of sound theology and was influential in combatting theological errors. Although he is rightly famous for his roles in settling the theological controversies of his time, Augustine’s priorities were the pastoral care of the people of his Church and spiritual growth. He developed a deep spirituality in which love is central. He was particularly concerned with the needs of the poor, and saw to it that the Church welcomed and helped them. Augustine died August 28, 430, just as the Roman Empire in Africa was dying, too, during the Vandal invasions.